Paul Gordon Scripps, 90, of Norton Shores, MI passed away on January 18, 2019 after a brief and tenacious battle with cancer. Born on August 22, 1928 in Lowell, MI to Jerry and Jenny Scripps, Gordy spent his early years on the family farm in Lowell until they moved to Grand Rapids, MI. Gordy attended Grand Rapids Central High School, and went on to attend Bob Jones College, located at the time in Cleveland, TN. While attending Bob Jones College he met Shirley Ann Ketcham of Pasadena, CA, whom he married a few years later in Grand Rapids, MI. Gordy began his career in business in the early 1950s alongside his father, a traveling furniture salesman. Together, they called on furniture stores throughout Michigan. Gordy, having inherited his father’s love of travel, enjoyed the expeditions and the connections he made with his customers. In 1963 an opportunity came along to start a small furniture store in Grand Rapids, MI. He transitioned into the retail side of the business with his first store, Scripps Fine Furniture, located on Wealthy and Diamond Street in Grand Rapids. As his business grew, he opened several additional locations around the Grand Rapids area. He eventually purchased Town House Furniture and subsequently bought Dream House Furniture, which had locations in Grand Rapids and Ft Lauderdale, FL. The Florida location allowed him and his second wife, RuthAnn, to spend time there during the colder winter months. It was during his business life that he honed his attention to detail and exacted his high standards of performance. 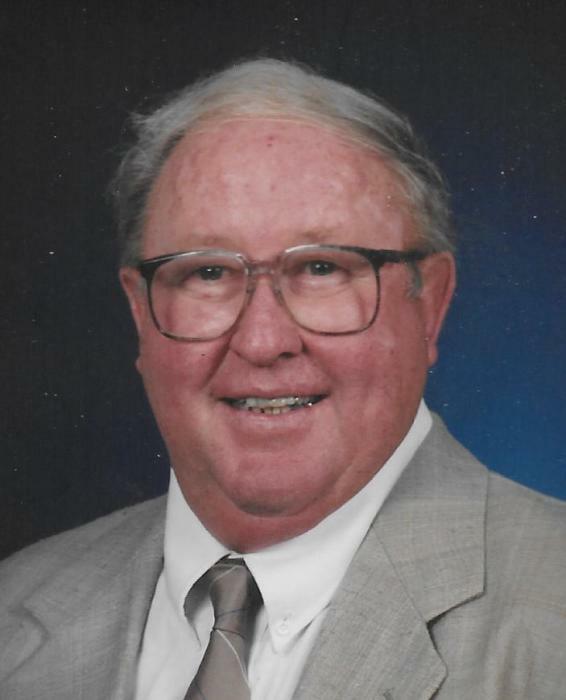 Gordy was an avid golfer and throughout his life he was a member at Green Ridge Country Club, Spring Lake Country Club, and Muskegon Country Club. He was also a member of the Peninsular Club in Grand Rapids. Along with golf, Gordy enjoyed sailing, traveling, and flying, having even qualified for a private pilot license. Gordy is preceded in death by wives Shirley A. (Ketcham) Scripps and RuthAnn (Rottschafer) Buurma Scripps, parents, Jerry and Jenny (Witvoet) Scripps, brothers Jim Scripps, Ky Scripps, and John N. Scripps, and daughter-in-law, Jane A. Scripps. Gordy is survived by children: John Patrick Scripps (Angela), Debbie L. Keenan (David), Wendy S. Yamaoka (Alan) and Dr. Jerry A. Scripps (Sally); step-children: Dirk Buurma (Randi), Barbara Baas (Jack), Connie Buurma, and Ben Buurma; sister Peg Potter; grandchildren: Ben Scripps, Chris Scripps, Greg Keenan (Tiffany), Koti Post (Ryan), Sarah Woodring (Ira), Andy Yamaoka, Dr. Jennifer Barr (Justin), Tommy Yamaoka (Lauren), Kristi Yamaoka, Joe Scripps, Cameron Scripps, Alexandra Scripps, Nick Scripps; and step-grandchildren: Carmen Baas, Dr. Kelly Baas, Bradley Buurma, and Lindsay Buurma; and 10 great grandchildren. A special thank you to his caregivers and friends, Sharon Cavelier, Reid Raymor, and Lisa Van Vuren and to Harbor Hospice. The family will greet visitors on Tuesday, Jan. 22, from 3:00 - 6:00 pm, at Metcalf & Jonkhoff Funeral Home, 4291 Cascade Road SE, Grand Rapids, MI 49546. There will be a private family service. The family requests that in lieu of flowers, please consider donations to support the work of Harbor Hospice Foundation, 1050 W. Western Avenue, Suite 400, Muskegon, Michigan 49441 or Every Woman’s Place, c/o Community Foundation for Muskegon County, 425 W. Western Ave., Suite 200, Muskegon, MI 49440 (Please make checks payable to CFMC-EWP Endowment Fund).